My work with leaders enables them to create an organizational future that inspires people and shapes behavior. Together we can mobilize your team to work together for a common future. 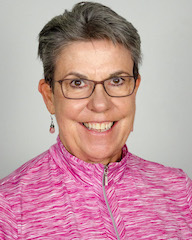 Ann is an accomplished executive coach and consultant with more than three decades of counseling, human resources, management consulting and leadership coaching experience. Ann’s career in Human Resources in both the private sector with Motorola and Dell as well as the public and non-profit sector has emphasized organizational transformation, employee performance and leadership development. She has counseled and provided guidance to managers, leaders and teams - from the factory floor to C-Suite executives - in how to be effective and successful at work. Ann is also an authorized partner for Wiley Publishing’s suite of programs including Everything DiSC suite of products and Five Behaviors of a Cohesive Team which use research-validated approaches to creating highly personalized learner experiences that provide a clear path for action. As a seasoned trainer, she is able to engage and motivate a wide variety of audiences on timely and relevant topics. Have you worked with Ann? Tell your friends! So, what is executive or leadership coaching exactly?